It will be here before we know it! 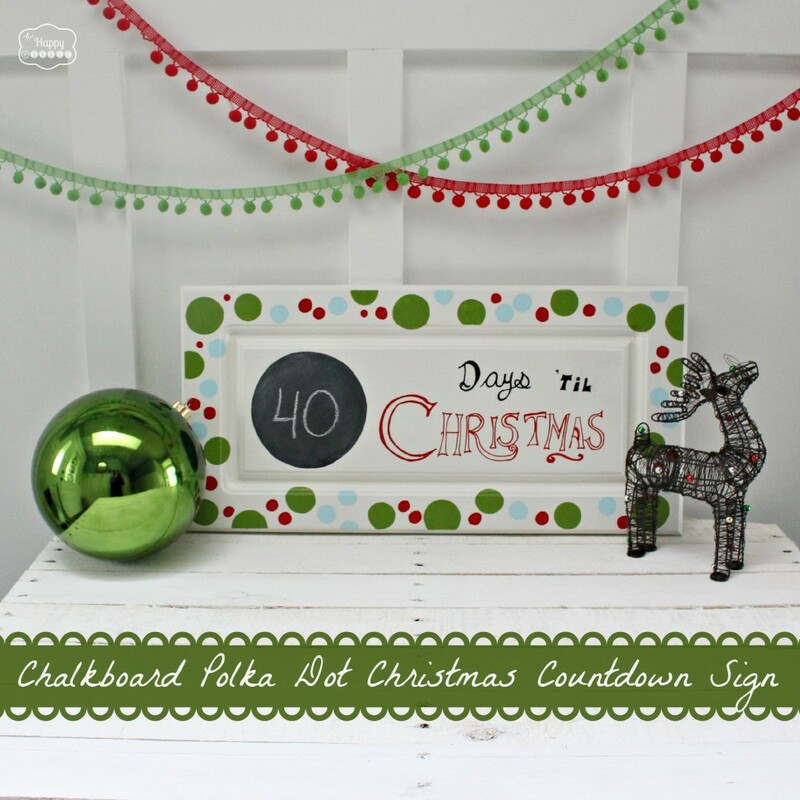 And today I am sharing this DIY Polka Dot Chalkboard Christmas Countdown Sign that I made using an old kitchen cabinet door. It was a fun project to get me into the spirit of Christmas decorating- after finishing it I had to hold myself back from digging into all the Christmas bins and banishing my fall décor for another year. But I will make myself wait. A few more days. 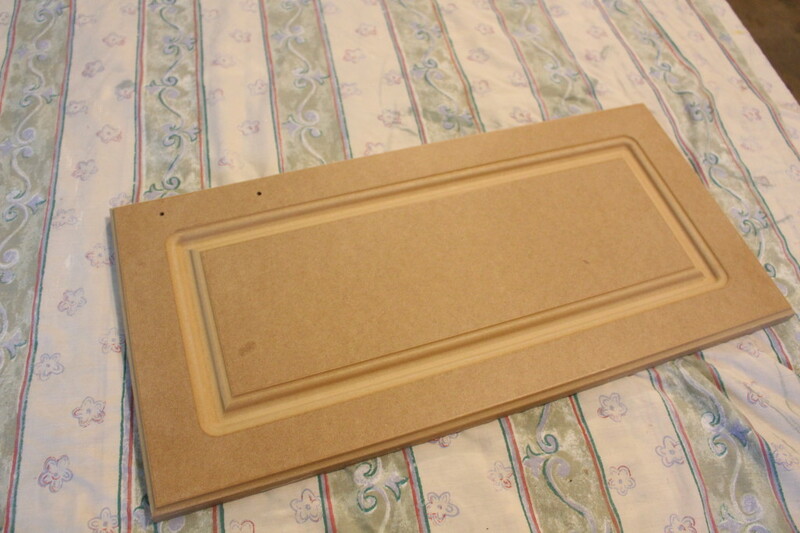 I started out with a cabinet door that used to live on our bathroom cabinets (we replaced the doors only on the vanities when we redid the bathrooms – see our before and after pictures). We have the exact same cabinets in our kitchen. The melamine has separated from the MDF and peels off super easily. 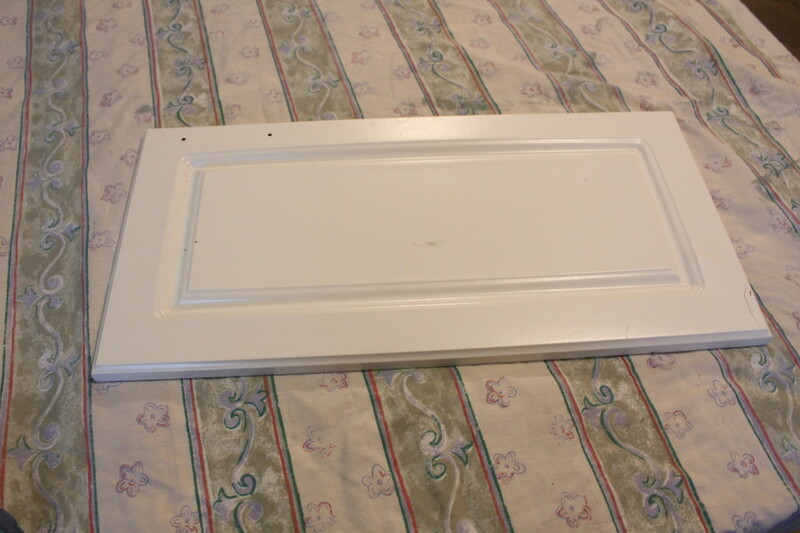 So, I peeled off the melamine and then lightly sanded the door down… filled the old handle holes with filler, sanded it smooth and then primed it. Once the primer was dry I gave it about 3-4 coats of white craft paint (Summer Linen by Martha Stewart). 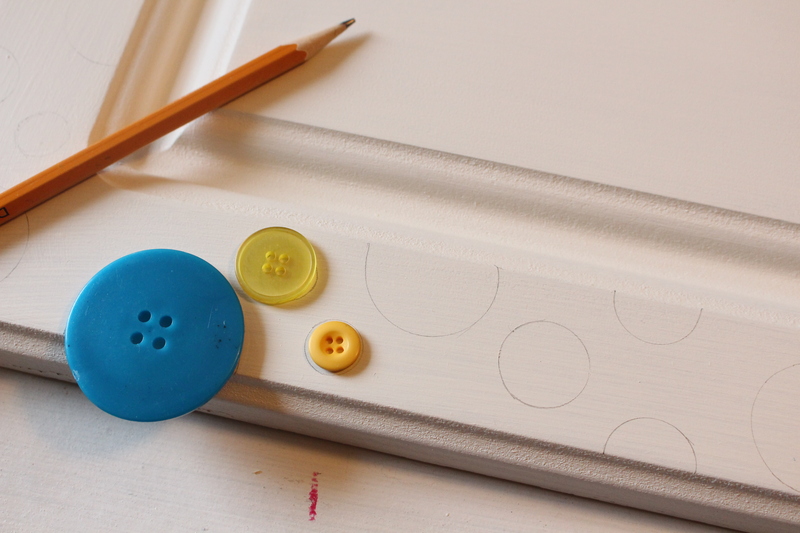 Then I used some round objects like these buttons to lightly trace polka dots with a pencil. 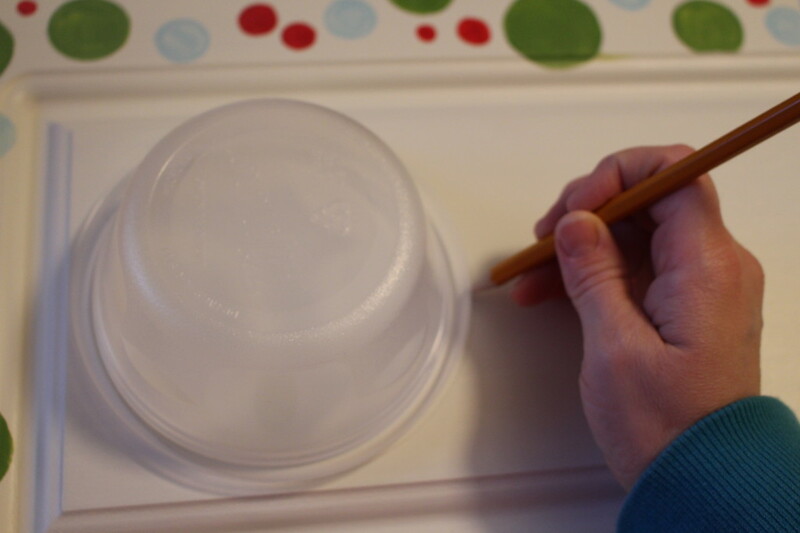 Next I filled in the dots with the craft paint and the red paint pen – using an angled brush works best when using the craft paint as it allows you to do smooth edged circles. Lastly I sketched out my lettering with pencil – I found examples of signs I liked and practiced sketching it out first on a piece of paper… if you aren’t comfortable with this type of free handing you can always use this method for printing out letters and using only a pencil to transfer them onto your sign. 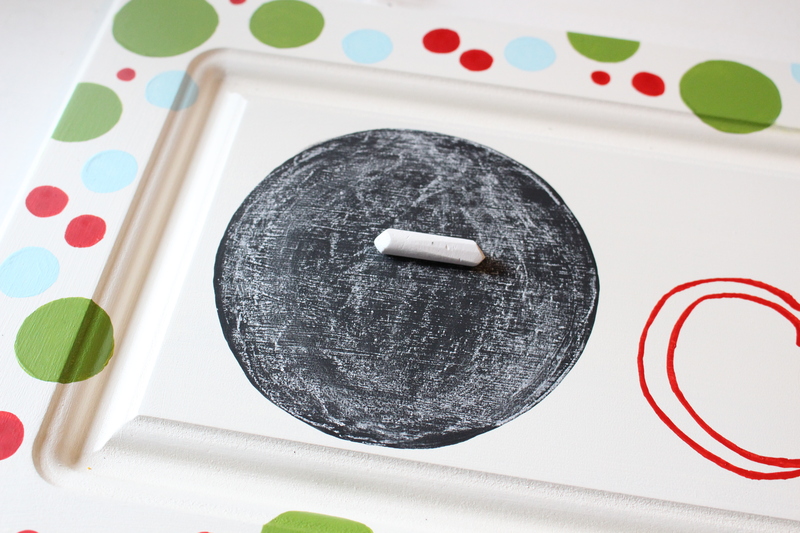 Lastly I “primed” my chalkboard polka dot by rubbing chalk all over it, and then wiped the chalk off before writing my number for the day. My boys’ are pretty excited about the countdown- I plan to hang this above the beautiful Advent quilt that my Mom made for them last year. Guess I better think about what to fill that advent quilt with. The squares are pretty tiny – any ideas?? 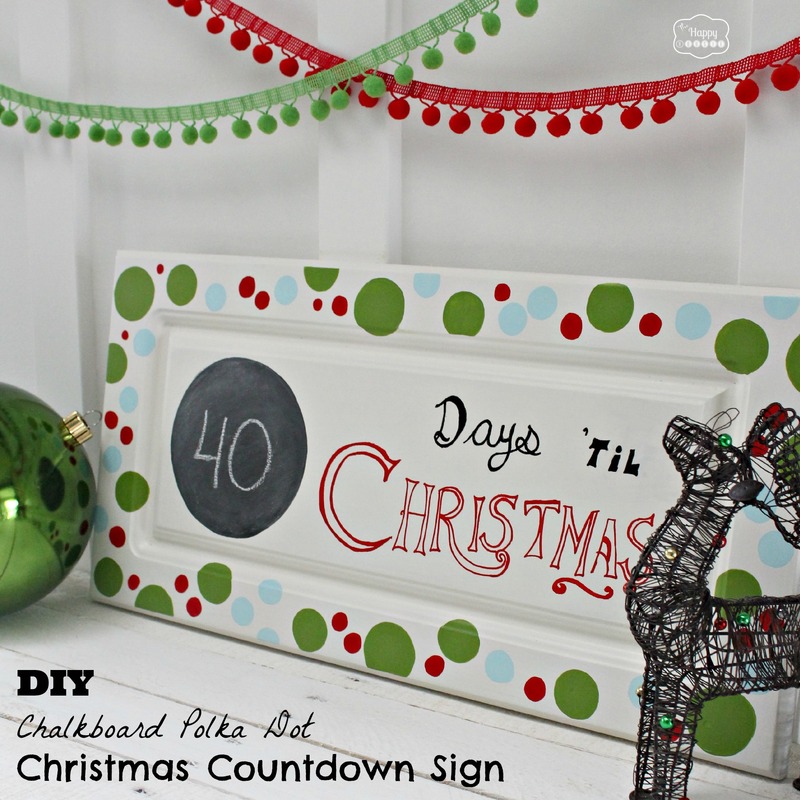 This is part of the Get Your DIY On Challenge: Holiday Signs. Head over to see the amazing signs that my cohosts have done this week!! I can’t wait to see what you have to share this week- it doesn’t have to be a Christmas sign even though we all chose to focus on the Christmas holiday for our projects this week. It could be something you did for Thanksgiving, or even Easter – any holiday sign that you have is perfect!! 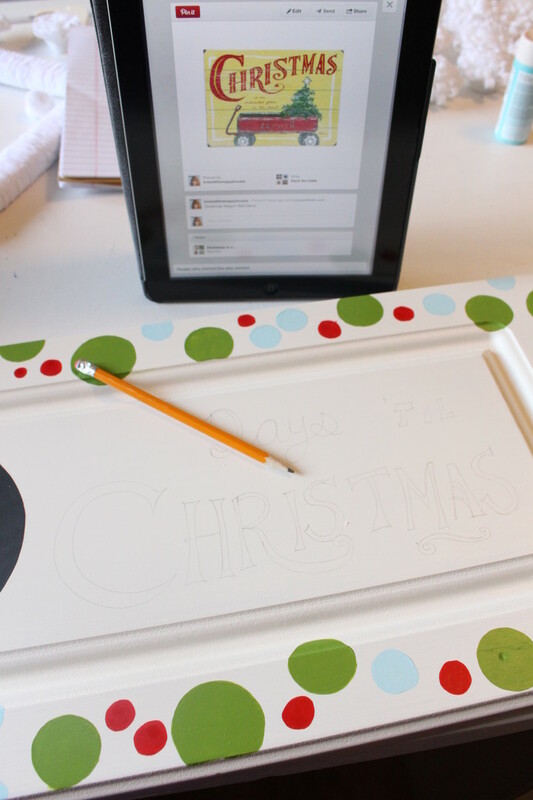 I would love to see some printables here too – I am look for some fabulous printables to add to our Christmas décor this year! 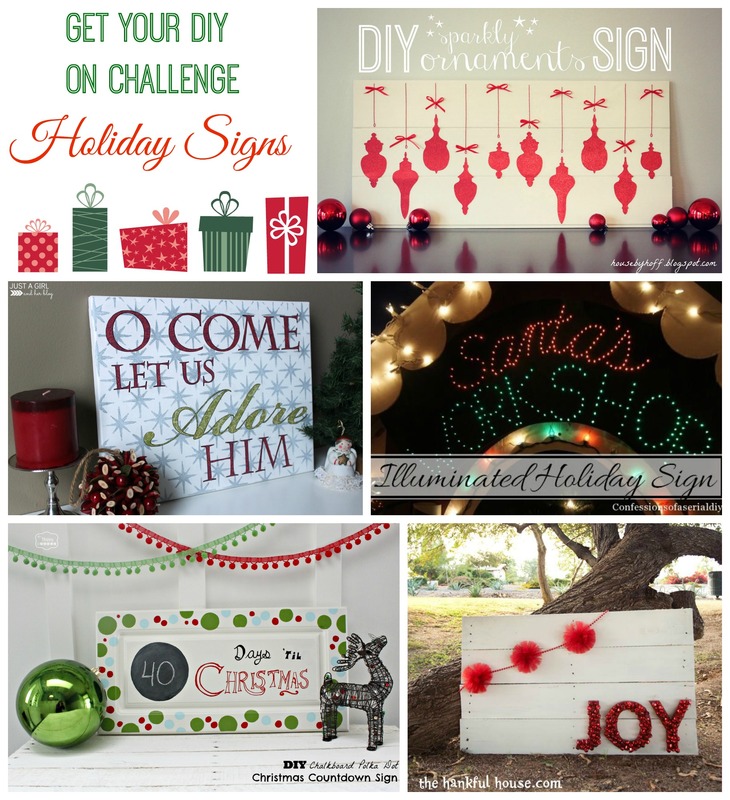 See you on Sunday night (7pm EST) for the Holiday Signs Challenge!! 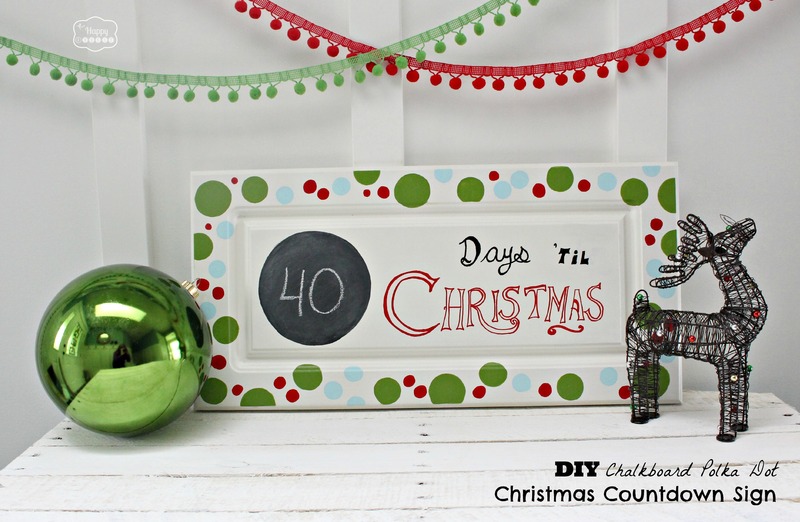 Do you do a countdown with your family or children? An advent calendar? What type of traditions does your family have leading up to the holiday? Thanks so much – and thank you for the pin!! Hi Susan! Thanks so much – I will hop over to check it out! Thank you so much Jenn- and thank you for your invitation!! Love it. Featured it on The Patriotic Pam this weekend. Goes live tonight at 7pm(EST). Thanks for sharing. 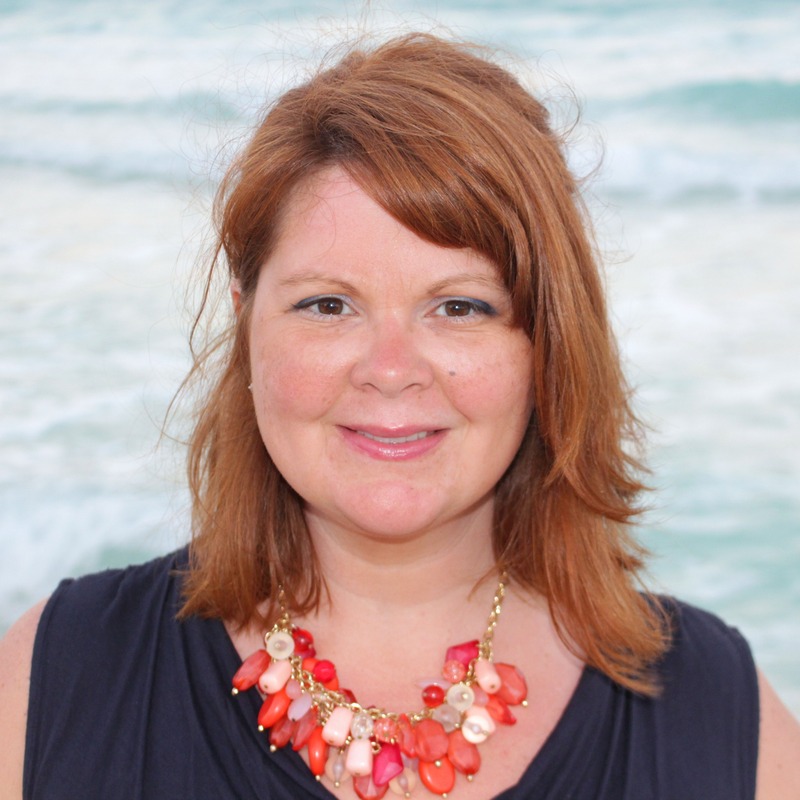 Come back over and check out the feature!!! Thank you Pam- so honoured for the feature!! So cute and I love the way you styled the shelf. 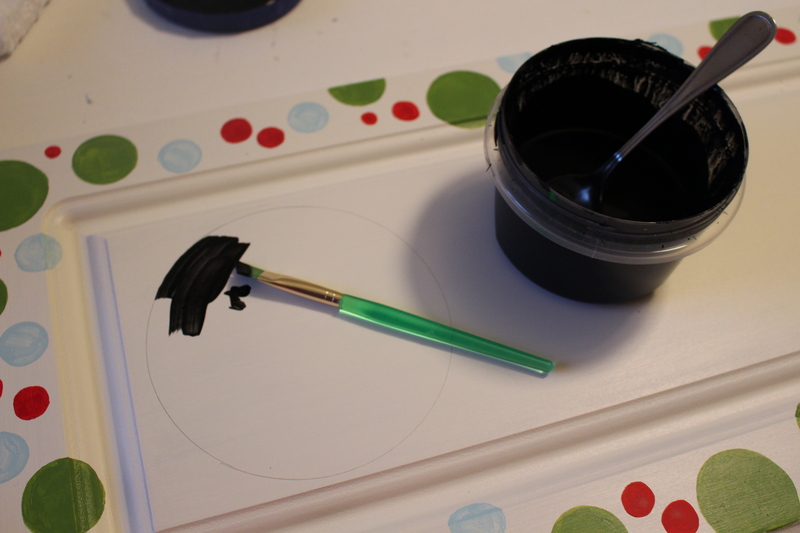 I must be a total newbie to chalkboard paint, because I had no idea about priming it prior to use. Thanks for the great tip! I think it is helpful to ‘prime’ your chalkboard before using it so that the first thing you write on it in chalk doesn’t permanently etch itself into the chalkboard… that is what I have read before anyhow:) Thanks for your visit and comments Katie!! Awesome idea to do this as a gift. Thanks so much for your visit! Thank you Melissa- I have been hoarding a few cupboard doors for a future sign-making project and was thrilled to get to use one. And thanks for the invite!! It look store-bought! Seriously, you can sell these and I’ll buy! Love it! Aw, Vel- thanks! That is so sweet of you… it was pretty easy:) So thrilled you came by! I love that you repurposed and old cabinet door. The dots look great! Really cute Krista. 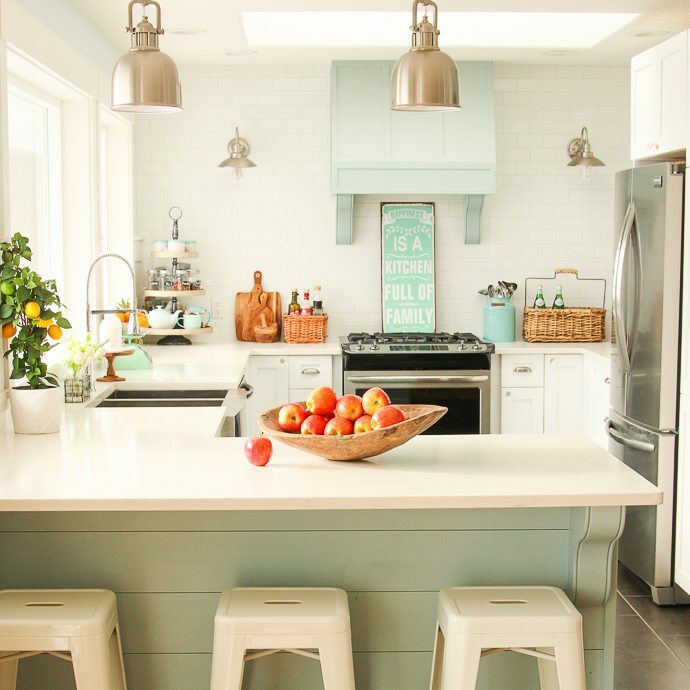 Just think how many different one’s you can make when you redo your Kitchen! Ha ha! 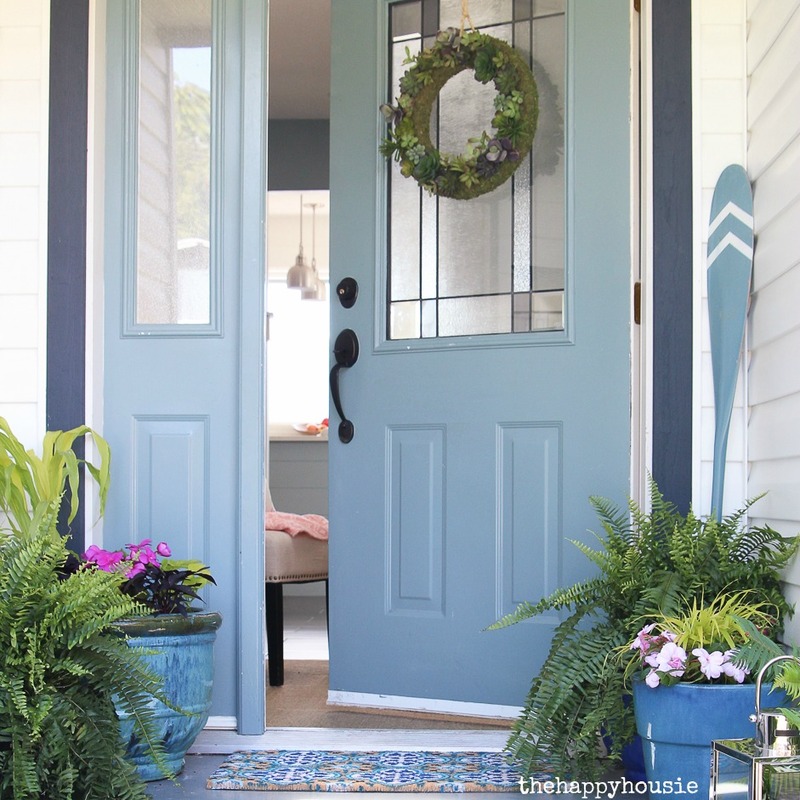 But when I redo the kitchen I think we are just going to paint the existing doors… They paint up quite nicely, and I think it would be fun to try doing them with chalkpaint. Hi Rachel! Yes, forty days, wow!! I think old cabinet doors are perfect for signs. I have a couple more I am hoarding for later:) Have a great weekend! Thank you Becca! I love how bright and cheery it looks- my boys are pretty excited about the countdown. Thanks so much for coming to visit in person!! This is RIDICULOUSLY cute, Krista! Such a creative re-purpose. I must know… did you make those pom pom garlands? Also very cute. What a great project! 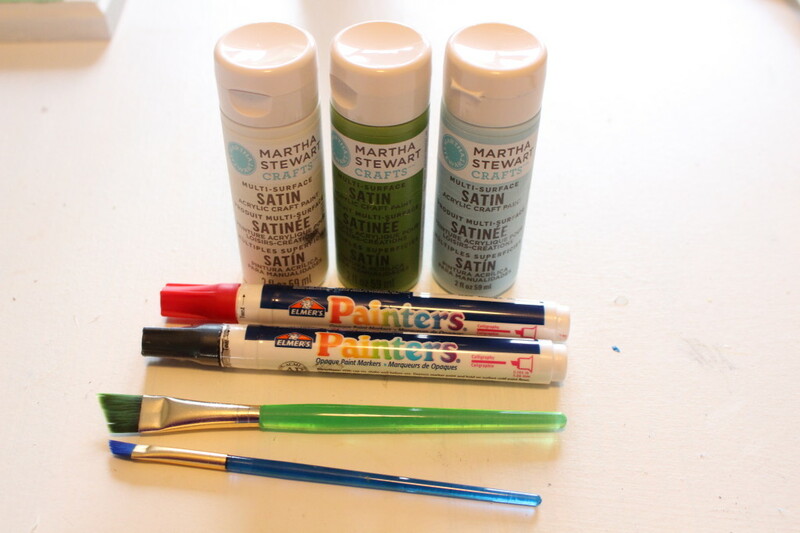 I had no idea that melamine could be removed – definitely good to know. Love that you used different objects to make the circles – nice reuse of old/everyday things instead of fancy crafting tools! 40 days!!???? OMG- I love your use of circle tracers. I am the same way. I have used some Happy Meal buckets before- LOL. Great sign! 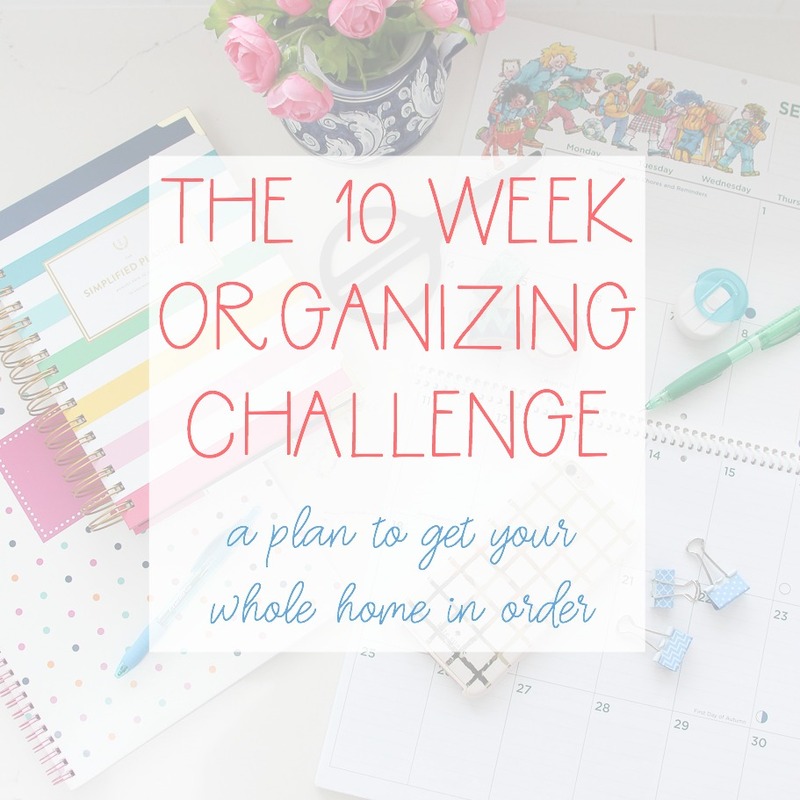 This is a great idea Krista thanks for sharing it. CUTE! Love that little sign! What a great idea :). SO cute! I bet your boys will love seeing the number go down and down and down! I want to make an advent calendar for my little guys this year… guess I had better get on the ball with that! I was thinking of putting some kind of chocolate (Hershey’s Kisses?) in theirs. Thanks again for sharing your beautiful sign! Hi Abby! They would definitely love chocolate. My mom set the bar a little high last year when she made their advent calendar by filling it with super cool stuff. Maybe they don’t remember that and will be happy with just Hershey’s Kisses? You never know:) Have a great weekend friend! Krista, can I tell you how much I LOVE this? I so have to make one!!! Although just seeing the number of days left (yikes!) freaks me out just a tiny bit! Fantastic and beautiful job, as always! 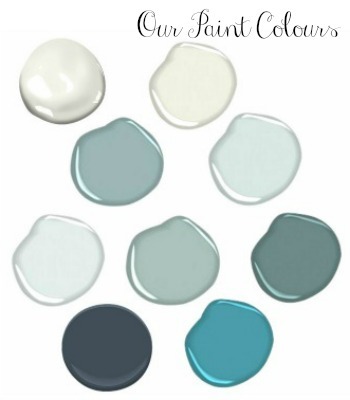 Thanks so much for sharing and pinning! Hope you have a happy Thursday! Hi Cindy! I know… it is crazy how quickly it is coming now. But I can’t wait to get the rest of our Christmas décor out now. Have a fab weekend! So cute! My girls would love this. They made a countdown chain with Bible verses that we are reading each day. I also have a n advent calendar to fill. I put in things like “Let’s read a Christmas book together” and red and green M&Ms of course! 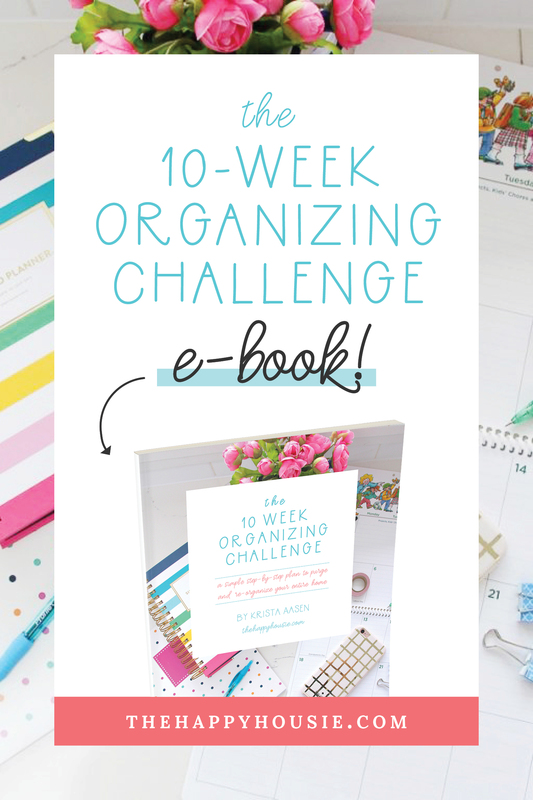 That is such a great idea Ashley – I like the idea of using activities as well as treats. And the bible verses is such a great way to lead up to Christmas – reinforcing the true meaning of the holiday. Thanks for your visit – have a great weekend! 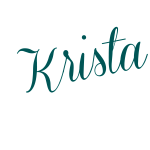 Krista it’s really nice – well done! 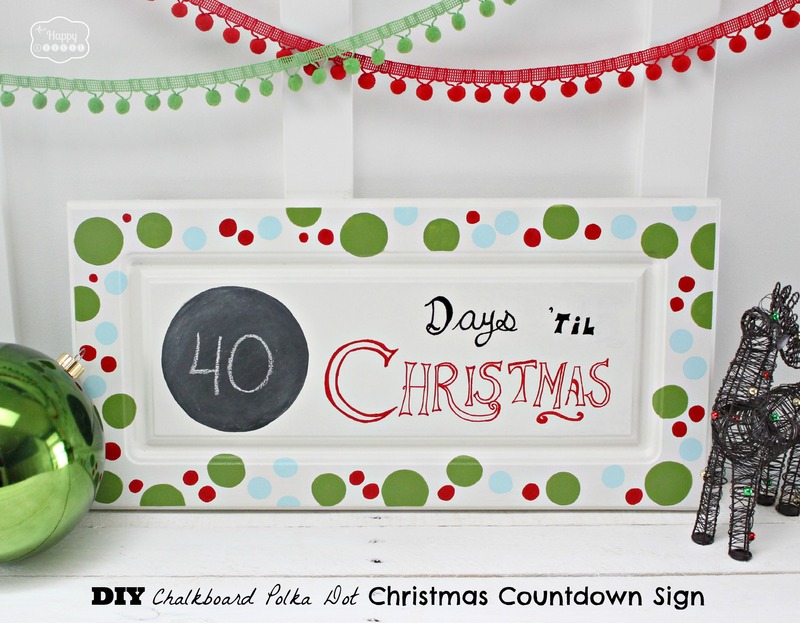 Can’t believe it’s 40 days ’til Christmas – eeek! I’ve never done a proper advent calendar but I’ve always wanted to. Maybe this year…..
Hi Petra! Time is gaining on us… but there is still lots of time to set up an advent calendar. There are so many cool ideas out there right now for them – but I am thankful we already have ours (handmade by Grandma last year). Now to fill it! !